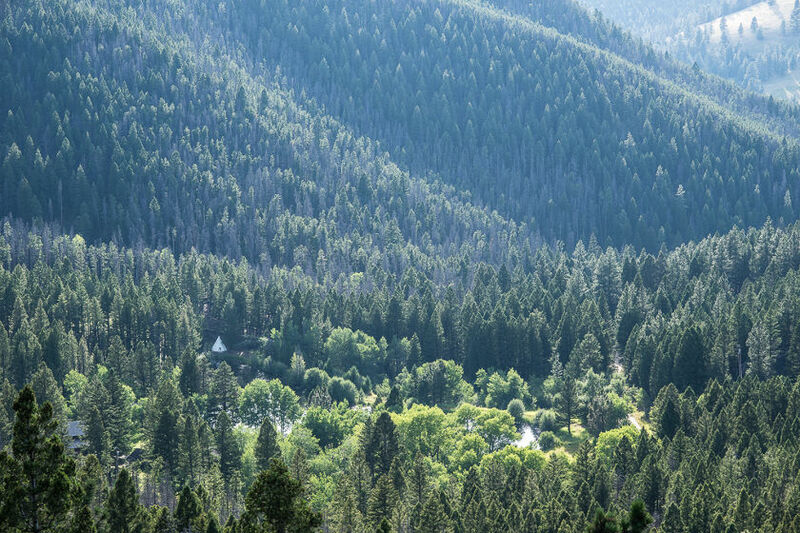 The pristine nature and supportive community of the Feathered Pipe Ranch offers an ideal retreat setting for relaxing and restorative yoga vacations, nestled high in the northern Rocky Mountains just outside of Helena, Montana. With direct flights from four major airline hubs, a short twenty-five minute shuttle ride brings you to our secluded mountain home. During our four-plus decades of service, we have been honored to be featured in many prestigious media publication including Conde Nest Traveler, AARP The Magazine and the Yoga Journal. Year after year, guests tell us that they love to return to their beloved ‘Pipe’ over and over — not just because they appreciate the transformative power of our innovative programs, but also because they long to experience the enchanting healing power they feel pulsing from the land itself. 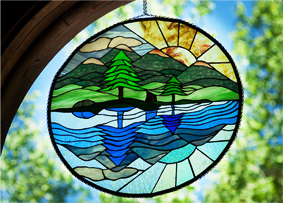 Nearly a million acres of national forestland surround the Feathered Pipe Ranch, offering opportunities for nurturing solitude, self-reflection, and rejuvenation in the natural world. 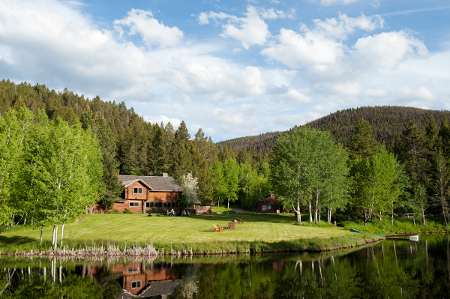 Wander along ambling brooks fed by pure mountain springs, through aspen groves and pine forests on well-marked nature trails, or simply relax beside our sparkling little lake. Experience a deep sense of awe looking up at the Big Sky starry night, free of noise, light, and air pollution. The Ranch offers that rare gift of time, space, and place to reconnect to what is essential. 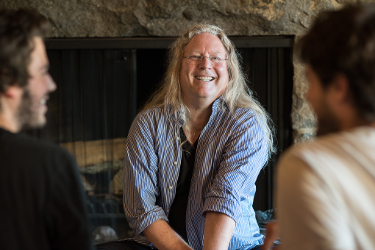 Many of today’s foremost voices on yoga, mindfulness, health and wellness have come through our doors, with many of them getting their start as a student through the Feathered Pipe scholarship fund. Joseph Campbell, K. Jean Shinoda Bolen, Dr. Bernard Jensen, Dr. Andrew Weil, Lilias Folan, Angela Farmer, Mary Dunn, Rodney Yee, Patricia Walden, Erich Schiffmann, Judith Hanson Lasater, Seane Corn, and world-renowned Native American flutists, R. Carlos Nakai – to name just a handful – are honored alumni of the Feathered Pipe Ranch. The Feathered Pipe Ranch has always been relevant to the times we’re in. Today, we are actively cultivating innovative, thoughtful voices and conversations that contribute to the global inquiry into conscious living. In recent years, we’ve welcomed a new generation of yoga teachers like Baxter Bell, MD, Melina Meza, Gernot Huber, J. Brown, Marla Apt, Lizzie Lasater, and others. We also incubated our own homegrown program to explore the relationship between humanity, technology, and contemplative practices. We look forward to welcoming you to your home away from home in Big Sky Montana at our beautiful mountain setting. To learn more, take our Ranch Virtual Walking Tour and visit our Frequently Asked Questions page.